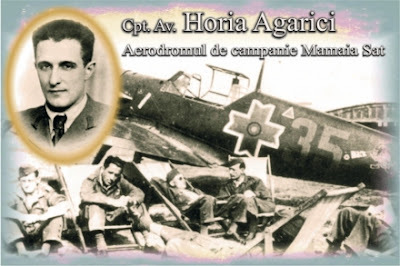 Horia Agarici (Romanian pronunciation: [ˈhori.a aɡaˈrit͡ʃʲ]; April 6, 1911 – July 13, 1982) was a Romanian aviator and World War II flying ace. 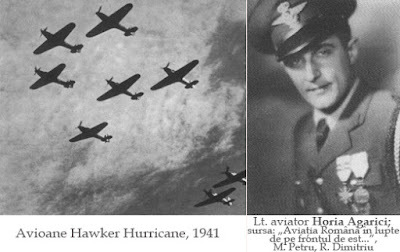 Born in Lausanne, Switzerland, Agarici lived much of his youth in Iaşi, then attended flying schools in Bucharest (1931-1933) and Tecuci (1933-1934), becoming a bomber pilot in the Romanian Air Force. In 1937, after undergoing training in Buzău, he was assigned to the 1st Fighter Flotilla. After Romania's entry into World War II on the side of Nazi Germany, and the start of Operation Barbarossa, Agarici, who had been assigned to Mamaia (in Northern Dobruja), was part of a squadron defending the coastline and railroad links between Constanţa and Bucharest from Soviet bombings. He became known on June 23, 1941, when he flew his damaged Hawker Hurricane into action against Soviet bombers, managing to gun down two (perhaps three) enemy aircraft. His feat was soon the theme of a popular song, used for propaganda purposes by the Ion Antonescu regime. 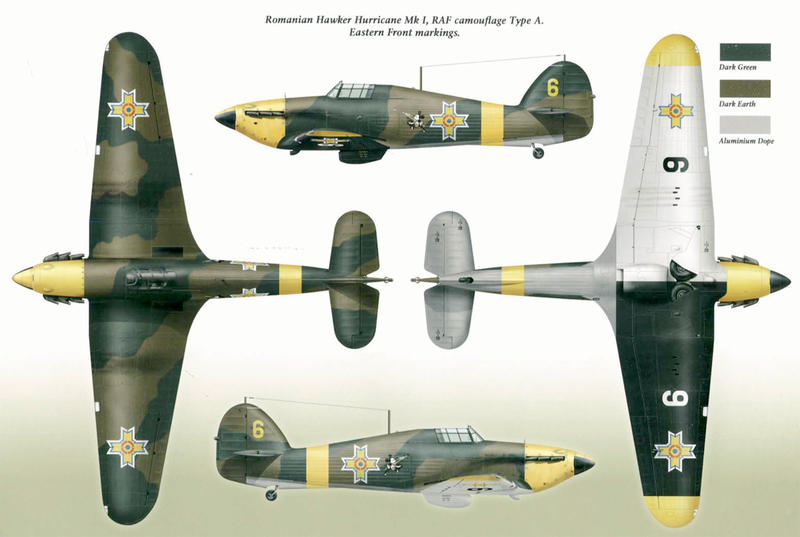 By mid-1941, he claimed two more kills, and won ace status. 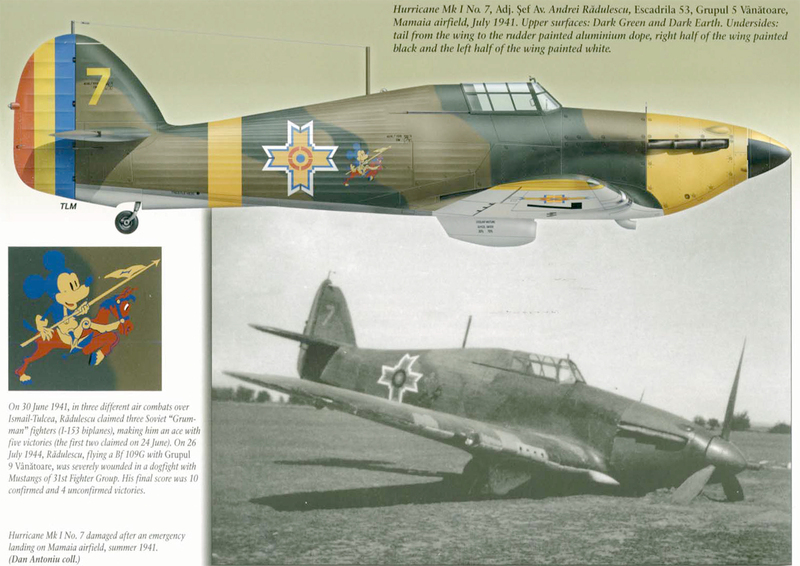 In 1942, Agarici was assigned the command of the 52nd Flying Squadron in Mamaia, which was meant to defend Axis supply routes in the Black Sea. The next year, he was commander of the 7th Fighter Group on the Eastern Front, and chief of the operations' bureau. During the United States Air Force raid on Bucharest in early 1944, he was in command of the 58th Fighter Squadron, which engaged the Fifteenth Air Force. During the confrontation, Agarici's plane was hit, and he had to make a forced landing (immediately after his last kill). After the Communist takeover, Agarici was dismissed from the Air Force. Between 1953 and 1955 he was deported to the village Neatârnarea, Tulcea County. In 1955 he was stripped of his rank, sentenced to 25 years hard labor and imprisoned at Aiud. In 1964 he was released and his rank of Captain was reinstated in 1965.